Available Now! 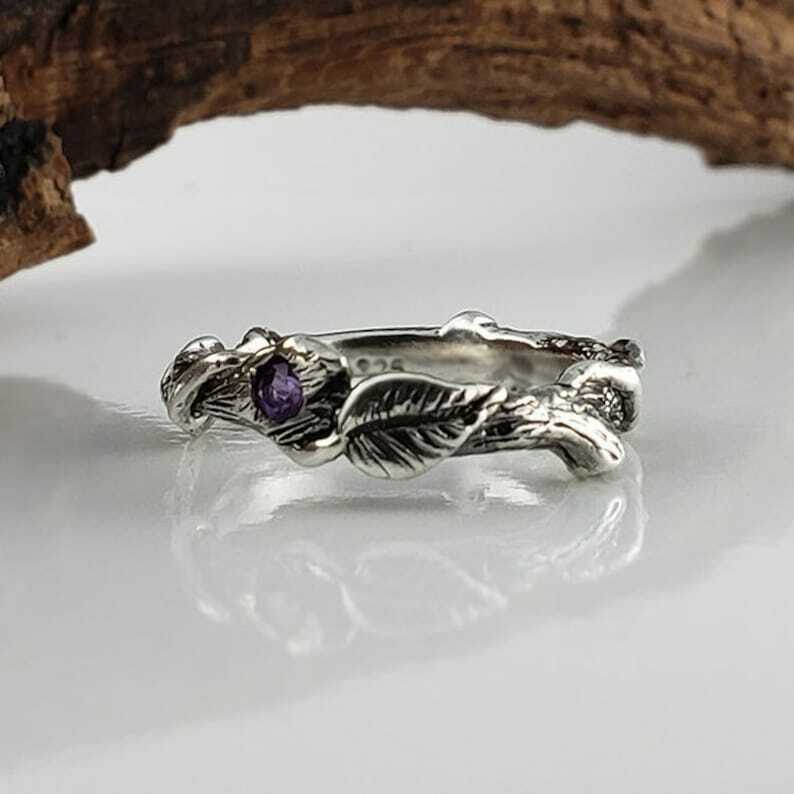 1.75mm Amethyst Gemstone Leaf Twig Vine Silver Promise Ring, Engagement Ring hand sculpted by me...Dawn Vertrees. I hand sculpted a twig band using the lost wax method and then added my hand sculpted leaves. Each leaf each having my signature texture and then added a stem to each leaf. The vine wraps around the twig giving the eternity ring additional depth. This band has 360 design and is made in your size. On the inside of the ring, we gave the ring a mirror finish for comfort and then oxidized the ring to bring out it tiny detail. This ring is available without the oxidation. Gemstone: 1.75mm polished faceted natural Amethyst. 925 stamped Sterling Silver with optional light oxidation.